Sleep Number P-5 Review: Best Model For You? Home » Sleep Number P-5 Review: Best Model For You? Described as having “the perfect balance of softness and pressure relief,” it’s no wonder that P-5 bed is Sleep Number’s most popular model. 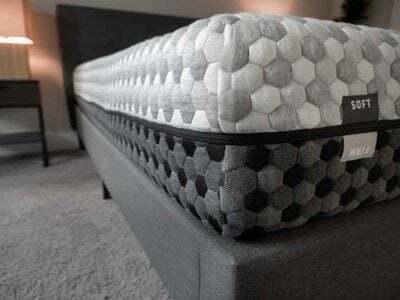 The bed features an 11” mattress profile and a 2” layer of comfort foam within the mattress. With the option to add Sleep IQ Technology and an adjustable base with FlexFit, almost everyone can get comfortable in this bed. 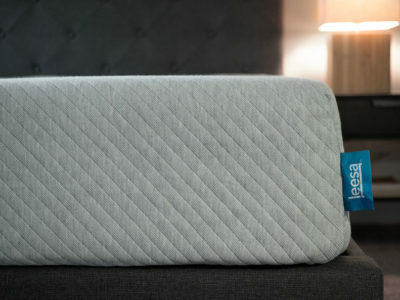 The P-5 is one of Sleep Number’s Performance Series mattresses. The mattress itself is 11” deep – measured from the base to the top of the mattress. The P-5 will come with either one or two air chambers (depending on what size you get). The air chambers are what inflate and deflate according to your Sleep Number setting. This will determine the level of support your mattress provides. A bed with two air chambers is part of Sleep Number’s “DualAir™ adjustability” feature. It allows you to set the firmness and support on each side of the bed based on your Sleep Number setting. The hoses to pump air into the chamber are 4ft in length. The P-5 model comes with a European-style mattress top. From the image above, you can see there is a small 2″ layer of quilting foam sewn into the mattress top. 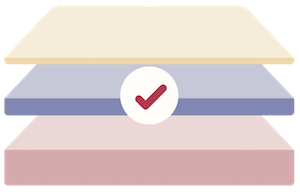 A Customer Service representative from Sleep Number told me that the European style was softer and had more height and room for the comfort foam layer below – as compared to the Classic Series. Underneath the mattress top and above the air chamber you will find a 2” PlushFit foam comfort layer. The 2” foam layer has five specific zones for body contouring and relieving pressure in the head/neck, shoulders, lower back, hips, and feet. Optional: You can also purchase Sleep Number’s Sleep IQ Technology, which will track your sleep and help you find your optimal Sleep Number setting. Or you can add a FlexFit Adjustable Base for your bed that will allow you to raise the head and foot of the bed. The air chamber in a Sleep Number bed will dictate how firm your mattress is. The higher your Sleep Number, the more air will fill the chamber and the firmer the bed will be. 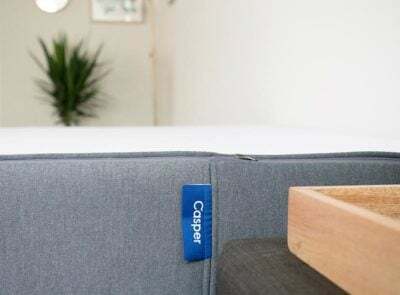 With that in mind, beds that have fewer foam layers in them – like the C-2 or C-4 models – will be naturally firmer since there is less cushion between the top of the mattress and the air chamber. The P-5 model has a 2” PlushFit foam comfort layer with contouring areas designed to relieve pressure points throughout your body. It also has a softer mattress top as well. 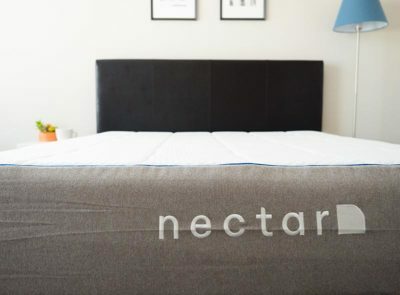 This foam layer and soft mattress top are intended to help balance the bed’s natural firmness and is a reason why it’s the most popular bed, a salesperson at a Sleep Number store told me. You have chronic pain. Many reviewers felt a major difference in their pain level when they switched to this bed. Especially people suffering from back pain. Being able to adjust the level of firmness depending on your needs at that moment seemed to be very helpful. You are older. A lot of customers (who took the time to review the mattress) were very impressed with the P-5 model and made a point to say they were over 60 years old. The physical changes that can come with aging may make it difficult to sleep and the customization of this bed seemed to help address some of these issues. You are a side sleeper. Despite providing more cushion than beds in the Classic Series, several customers said the 2″ comfort layer between the mattress top and the air chambers in the P-5 wasn’t enough to support side sleepers. They still woke up with pain in their hips and back despite the areas designated for contouring that part of the body. You sleep hot. There was a good amount of feedback from people who felt the mattress was too hot. This is not something I noticed in reviews for other mattresses from the classic series like the C-4 or the CSE. People struggling with injuries or chronic pain have enjoyed not only being able to adjust the firmness of their mattress but have utilized the FlexFit Adjustable Base to raise/lower the head and foot of the bed. Couples who prefer to sleep on different types of beds enjoy being able to adjust the mattress to their personalized firmness and still sleep together. 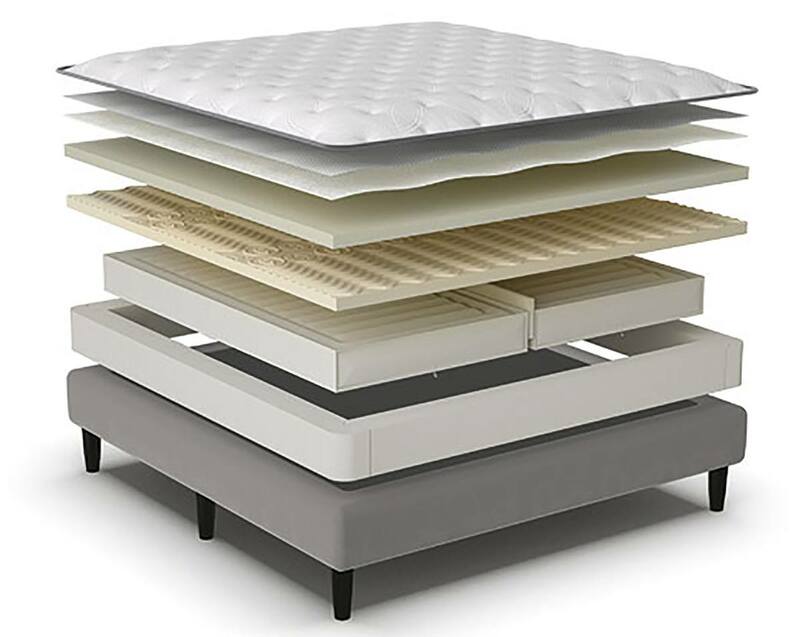 Although the P-5 has more cushion and thicker foam layer than the C-2 or C-4 mattresses, many customers still found that the foam layer was too thin for the price of the bed. They felt there was not enough cushion and body contouring as they thought with this model. This was especially noticeable for side sleepers. One of the biggest complaints across all Sleep Number mattresses is the indentation in the middle of the mattress. 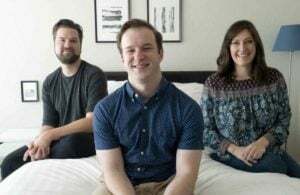 This appears to be created when a bed has dual air chambers and couples may sink into the middle of the mattress if they try to sleep close together. The beds can be a little high maintenance. If there are any installation problems (from self-installation or professionals) someone will have to come out to your house to service the bed. 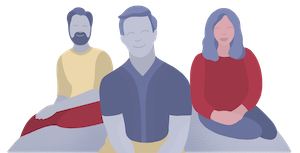 In addition, those who choose the FlexFit Adjustable Base – which can allow each person to raise/lower the head and foot of their bed – they must be shipped using their Custom Service℠ Home Delivery for an added cost. The P-5 mattress from Sleep Number is the most popular sleep number mattress. This is most likely because of its soft mattress top and 2” comfort foam layer about the air chamber(s) in the bed. In general, people who were struggling with pain and those who wanted to be able to change the firmness of their bed depending on their current needs really liked the comfort of this model. Since this model is a crowd pleaser, it seems like a safe choice to make when picking a Sleep Number bed, especially if you’re not 100% certain what type of firmness you want in a bed. At $2,099.99 for a Queen bed, it is one of the more moderately priced beds available. Those who are dealing with pain and need to adjust their bed support will enjoy the P-5 for its additional body contouring abilities and personalized nature. remarks, especially the BAD ones. The 360 model seems to get lots of maint. Upgrade discount, but wondering WHAT YOU HAVE TO SAY ? My p5 is 8 yrs old.